We will return your calls or emails within one business day, usually much quicker. During your renovation your home will be secured at all times, protected from the weather, burglars and animals when you are not there. We will never leave your home and possessions at risk. We will install the products in your home that have been specified, never substituting sub-standard materials, seconds, or otherwise deviating from the terms of our contract. All work performed in your home will be personally and directly supervised by fully-qualified, licensed, insured and experienced professionals. We don’t hire cheap, temporary or other-wise unskilled workers. 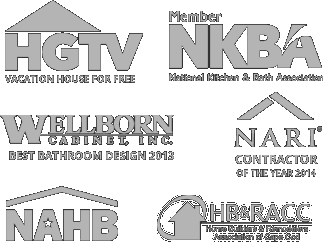 Many of our trade partners have been working with us for many years- some since the beginning. The behavior of those working at your home will be respectful of you and your neighbors. Among the items listed in our Employee Standards and Procedures Manual, we do not allow our workers to bring pets, or disrupt the peace with loud music, voices or language while on a job site. As your renovations begin, we’ll send a letter out to your neighbors, letting them know we’ll be starting the project and to please let us know if they have any concerns or questions along the way. During the course of our work, should we discover deteriorated conditions, such as rot or water damage, we will bring it to your attention and advise you of our suggested corrective action. If you’re not on Cape, our production team will email the images to you. We do not cover-up poor conditions.